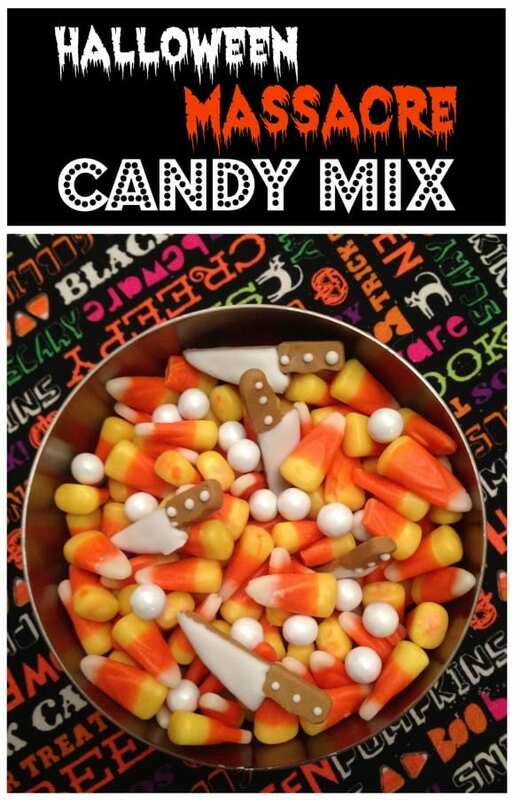 Gemma Touchstone from Gemma's Party Style is here with a quick and easy Halloween candy mix recipe that's simple to make and adds a little scary fun to your party. 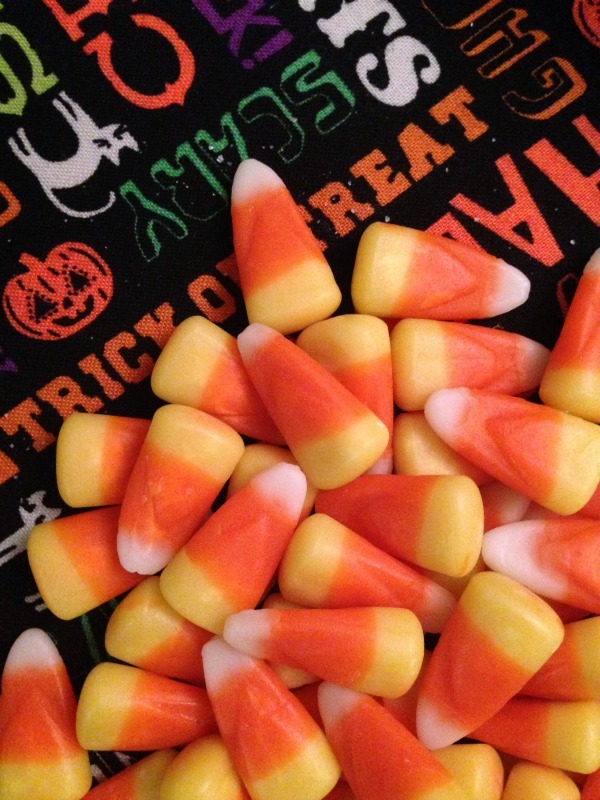 This mix is sure to curb your Halloween munchies. Three easy steps - just mix these fun ingredients. I love to make it and the the kids just eat it up! I call it the "Halloween Massacre Mix." 1 package Brachs Classic Candy Corn - of course, you can use any brand you prefer, but I love to go with the classic. 1 half cup or 9 oz. 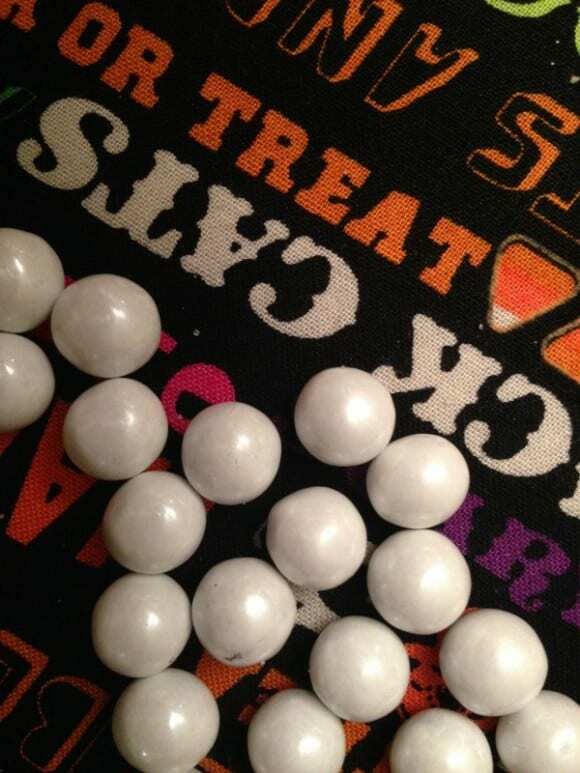 of white Sixlets available at Michaels. 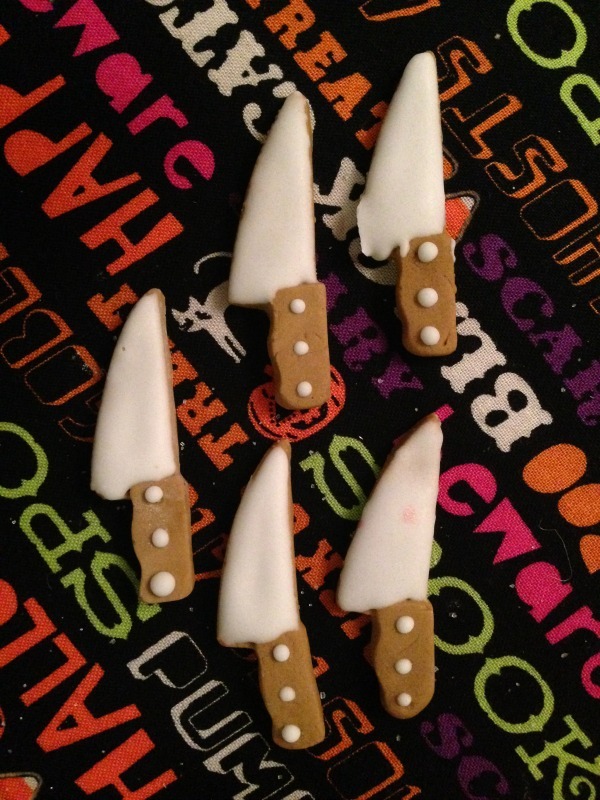 And these seasonal little candy knives create by Wilton also available at Michaels or Joanns. Mix together in your favorite bowl and serve for your Halloween party guests, or package in a mason jar for teachers, friends or family. You can find more ideas for simple and easy party mixes in Gemma's new book "Gemma's Mixes & Munches" due out March 2015. For fun party ideas & product reviews visit Gemma at Gemma's Party Style and on Facebook, Instagram, and Twitter. For more Halloween inspiration, check out these awesome Halloween parties from our site, free Halloween printables, and these amazing Halloween party supplies from our store.